This champagne hue has a subtle peach pink undertone. A festive accessory that is part of PUCCINI's best selling solid colored wedding collection. 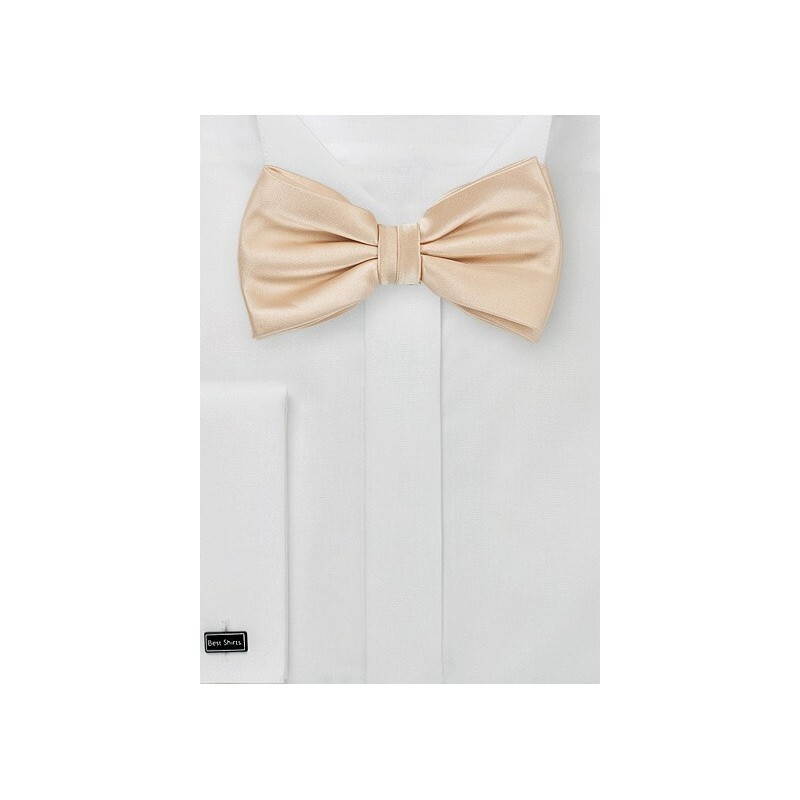 Because it is such a popular wedding tie for groom, groomsmen, and even ring bearer, we now offer it in a wide range of sizes and width. 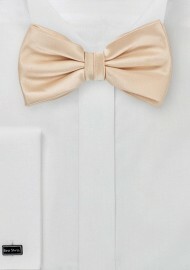 Shown here is a kids/toddler sized bow tie fitting ages 1 to 10.